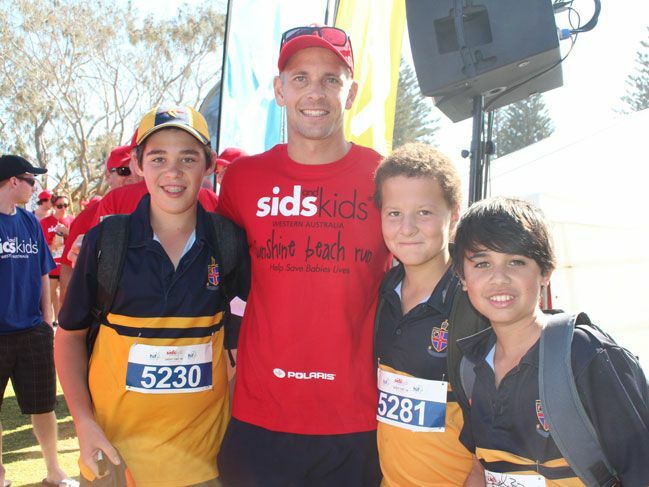 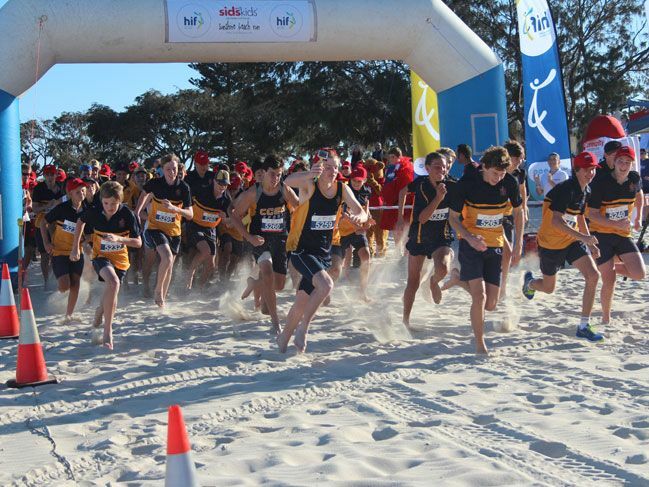 More than 70 boarders competed in this year’s Sunshine Beach Run at City Beach to raise funds for SIDs and Kids WA. 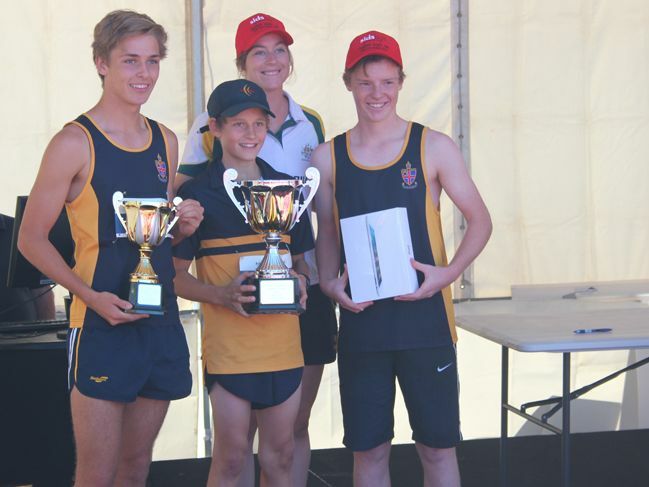 Christ Church was awarded the Highest Participation Trophy for the biggest team entered and raised more than $1,200 for the cause. 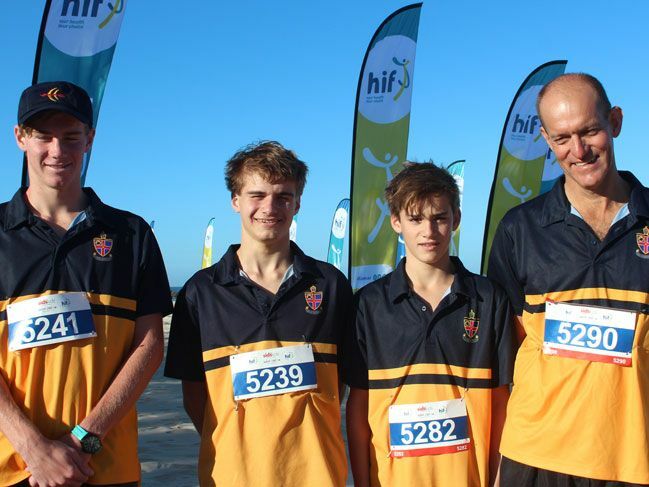 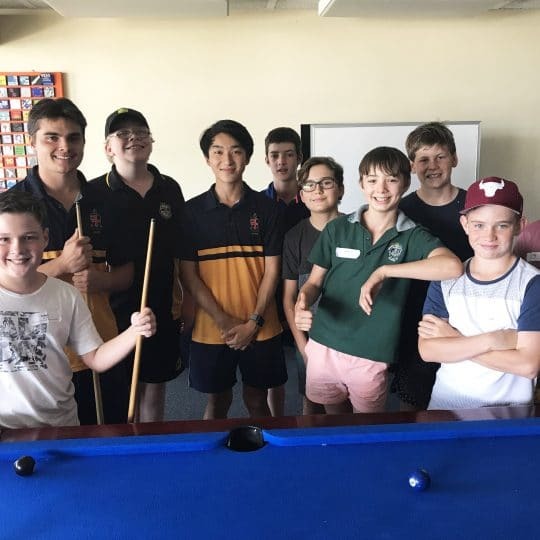 Residential Year Group Co-ordinator (Years 9 and 10) David Proudlove said its was the third year the ‘Escaped Boarders’ team had competed in the 5km run with numbers swelling from 23 last year to 73 out of the 500 entrants. 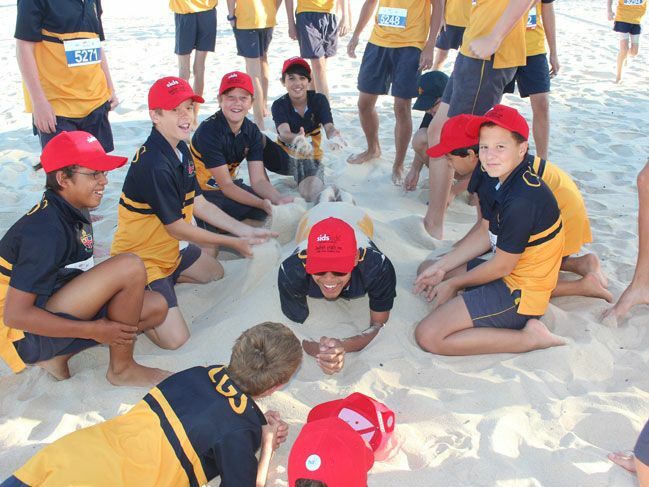 “This number represents 75 per cent of our boarding population as well as some members of our boarders’ families. 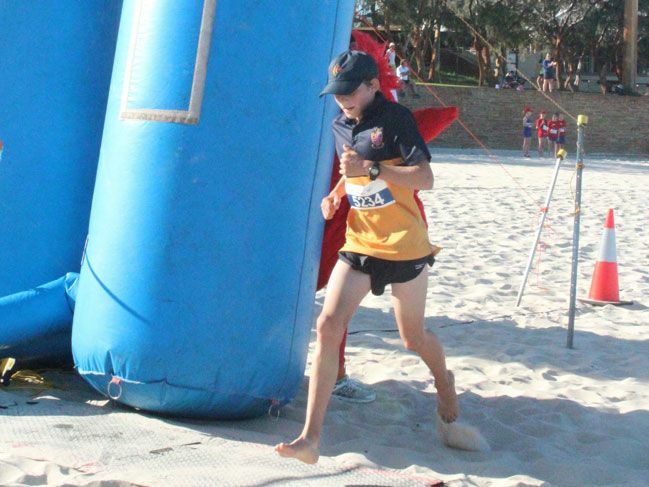 A fantastic effort,” he said. 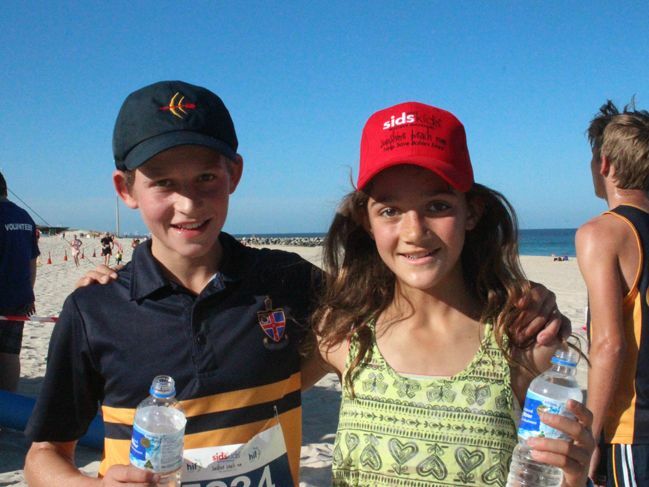 Once again, Year 9 student Ben Boultbee won the Junior Male Division and finished fourth overall while Ben’s younger sister Kate won the Junior Female Division. 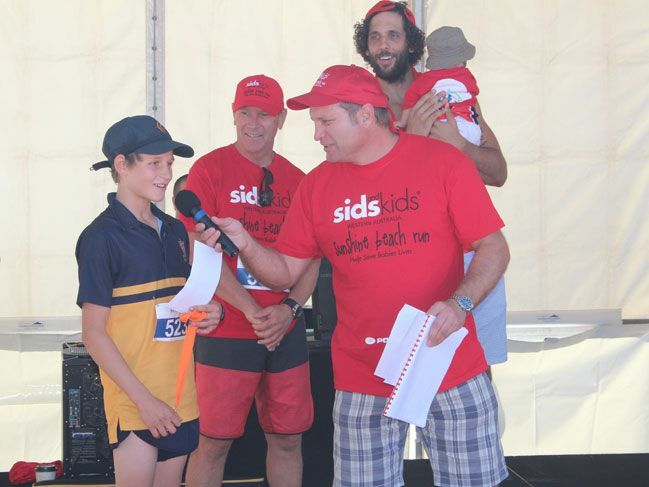 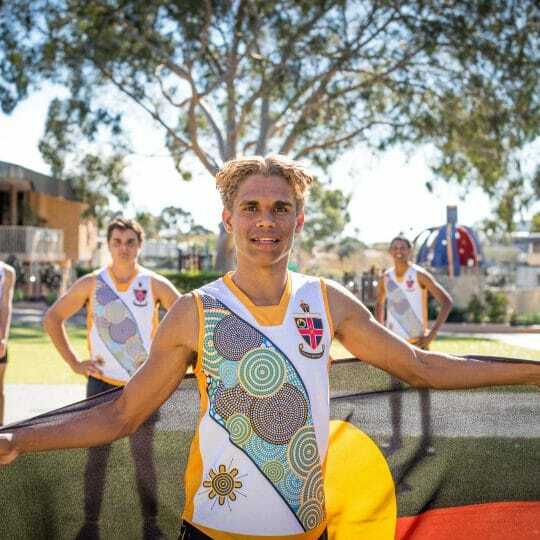 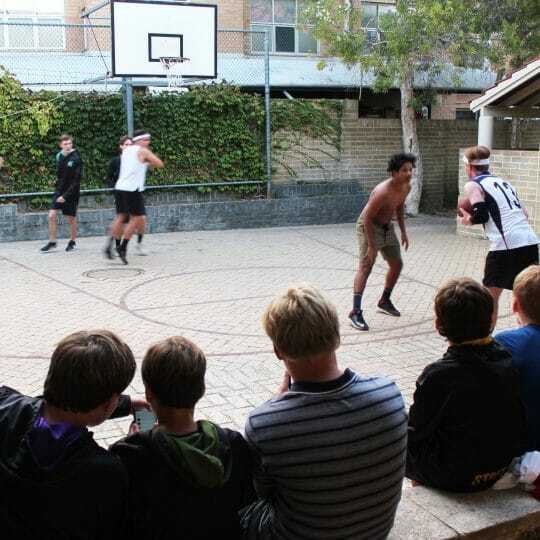 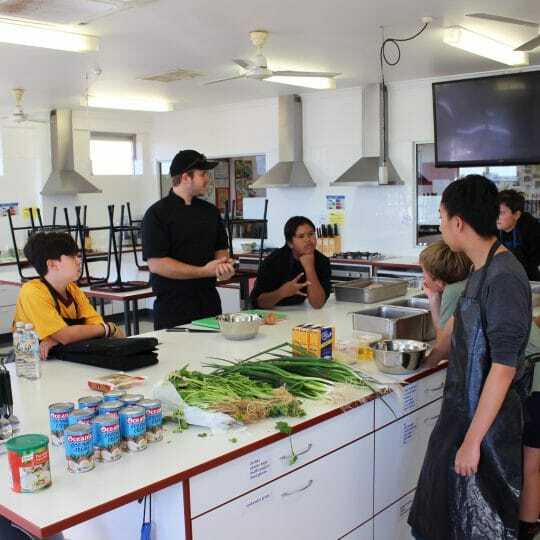 Sporting celebrities, including Perth Wildcats, Hockeyroos and West Coast Eagles players, presented the prizes after the event. 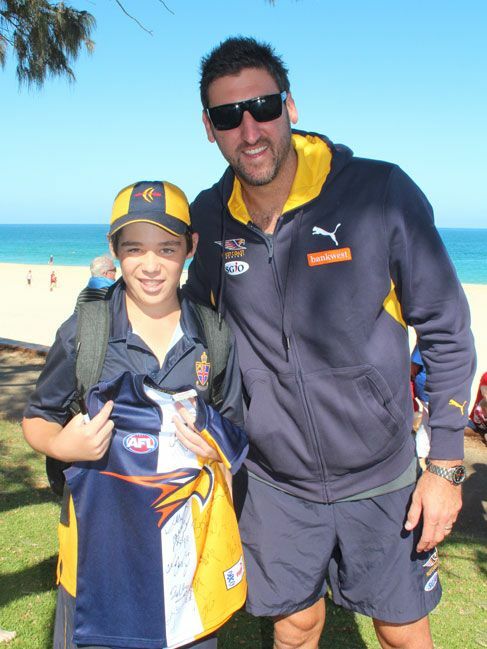 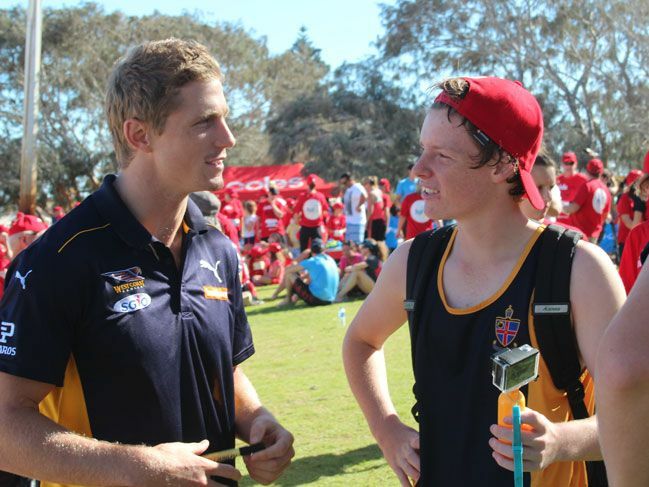 Channel 7 sports presenter Adrian Barich interviewed several of the boys and commented on the instantly recognisable ‘sea of blue and gold’ at the starting line.